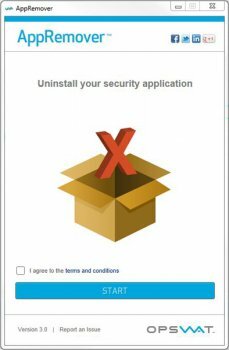 AppRemover is a free utility that enables complete uninstallation of antivirus and antispyware applications. Easy to use. Once downloaded, double-click the AppRemover icon and it will uninstall any detected security applications on your computer. Supported applications include products from AVG, CA, F-Secure, McAfee, Symantec (Norton), Panda and Trend Micro. This is a very good idea as some anti virus programs are attacked and need a third party to program uninstall them. As to the use of Defender or any Microsoft anti virus, I would disable them and use Avast. I base my suggestion on the lab results of several reputable testing sites of the efficiency of these packages and Microsoft has a poor rating at the moment so don't use it. I disagree with Bandid, often uninstalling AV software can be problematic, Eset & F-Secure to name just two provide uninstallers that run in safe mode for this very reason - Any program that makes the task easier has to be a good thing - I suppose you can do it the hard way though if you prefer? I like the concept ;). Users have been told for a long time to never run without security software, hence some of the comments here. That is now changing. With the inclusion of Windows Defender in Windows 8, which you won't even notice unless it detects something, third-party security suites are hardly needed. Especially when you consider stricter application control, such as Windows Store or AppLocker based policies in the enterprise. This is becoming rapidly more and more true; so don't let anyone scare you into purchasing additional protection that will, at best, only slow down your PC and generate a false positive here and there! Actual threats are rarely detected, as the malware authors are one step ahead, or have developed custom malware for each target. Common sense and user education goes further than any security software, costs less, and won't slow your PC to a crawl! The 'bare minimum' protection offered silently by Windows Defender is all people really need, and they are slowly recognizing that. I do have sympathy for all those who have jobs in the security software industry, but they are talented individuals and I'm sure they can move on. Useful when cleaning up an infected PC. Almost always the Anti-Virus the user was running, if any, was damaged and needs to be reinstalled. This makes that a bit easier, most of the time. Like others have noticed, there is still a lot of products that it does NOT support. The basic gist of this app is to remove security from a PC? Seriously? It did not recognise Eset Smart Security. It did not recognise Norton 2011. Best program ever made ! gets rid of Norton and anyother AV that you are trying to remove.